Before you start to take your prescribed diet medication, you should learn about Phentermine. You can then make certain that you are taking it correctly, that you know why it has been prescribed for you, and that you are aware of any possible side effects or reactions it could cause. The first thing that you should understand about Phentermine is that it is a short-term tool that helps you to get started with a healthy lifestyle. 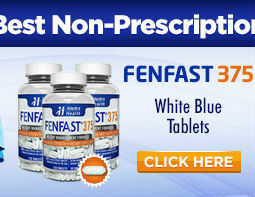 This medication is designed to help you establish proper eating habits and a higher activity level. Your doctor is the one who will outline how many calories a day you should be eating and how much exercise you should attempt to get. Phentermine is in a prescription drug class referred to as anoretics. Its main feature is appetite suppression, though it does also have other benefits – such as an energy booster – that can assist you with your weight loss efforts. This is an important fact to know about Phentermine, because it is not a pill that will cause the pounds to fall off all on its own. By suppressing the appetite, it means that you won’t feel inclined to eat as much or as often. It reduces the feeling of hunger and diminishes the sensation of cravings so that you won’t want to snack as much, you’ll be satisfied by smaller meals, and that feeling of fullness will last longer. Despite these great benefits you still need to make the choice to eat the right foods, and complement that effort with regular daily exercise. 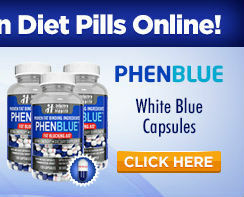 Another thing to know about Phentermine is that it is available in different forms and doses. 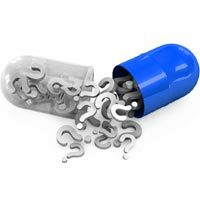 There is only one strength of extended-release capsules, but there are several strengths of tablets. Both types have their own dosage instructions so it is very important to read your directions carefully and follow them to the letter. This way you will ensure that you are taking the pills safely and in the way that ensures the best results. If you have any questions about the instructions, be sure to ask your pharmacist or your doctor right away. One important fact to note about Phentermine is that it can be habit forming (addictive). For this reason, your doctor will have chosen a dose and a schedule that will be designed specifically to reduce the odds of this occurring. Also, when your prescription ends your doctor will take care to wean you off the drug so that you will not suffer from withdrawal symptoms. This is another reason that you should not take Phentermine any longer, in higher doses, or more frequently than has been prescribed. The typical length of time for the use of this medication is between three and six weeks.